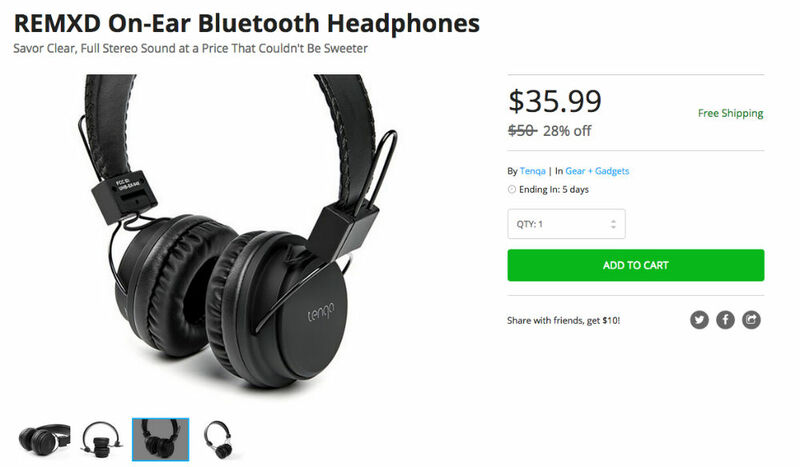 Two deals on the DL Deals Store can get you rocking very quickly, with the Air-Fi Metro2 stereo Bluetooth headphones and REMXD On-Ear headphones on sale, plus free shipping. Regularly priced at $50, the REMXD On-Ear headphones feature a large 33-foot range via Bluetooth to your smart device, meaning you won’t need your phone attached to the hip in order to listen to your jams. The headphones allow for making and receiving calls, plus feature built-in controls for audio playback. As for battery life, the REMXD headphones feature 15 hours of listening time or 160 hours of standby time with a single charge, which should be plenty of juice to get you through your next gym routine. Priced at $36, they can be purchased by following the link below. 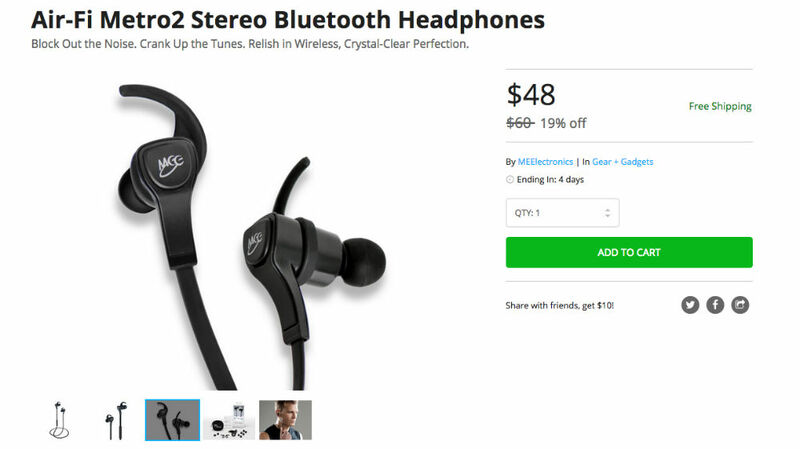 Regularly priced at $60, the Air-Fi stereo headphones can be had for just $48, featuring ‘crystal clarity’ and impressive bass tones. Thanks to their compact design, they offer great portability for those who would like to use them during a run or at the gym, featuring ‘all day listening’ with 5+ hours of battery life. A built-in microphone and controls allow you to make and receive phone calls, as well as control audio playback from your connected smart device. Included with the headset is a protective case, plus 3 sets of eartips and ear fins.